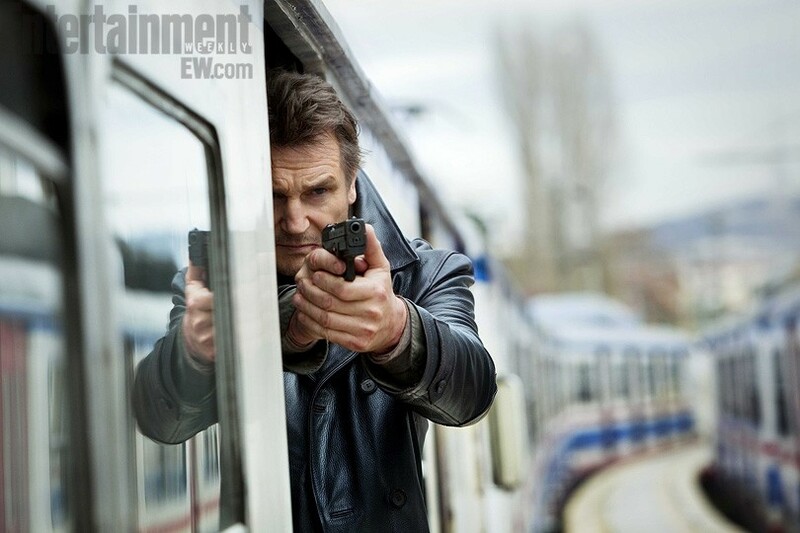 The movie Taken 2: trailer, clips, photos, soundtrack, news and much more! 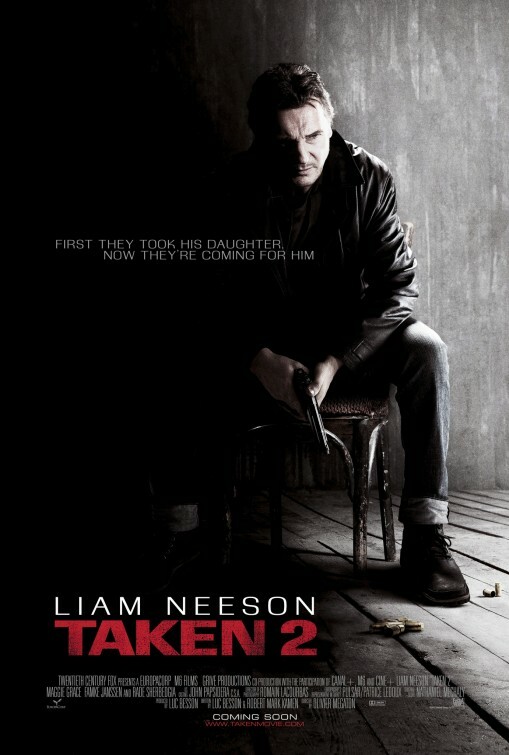 Taken 2 Movie directed by Olivier Megaton. 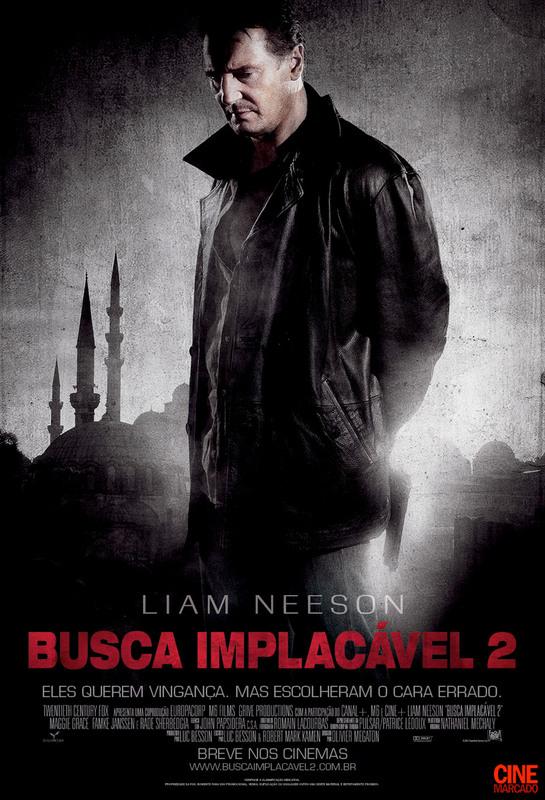 Taken 2 – He knows. 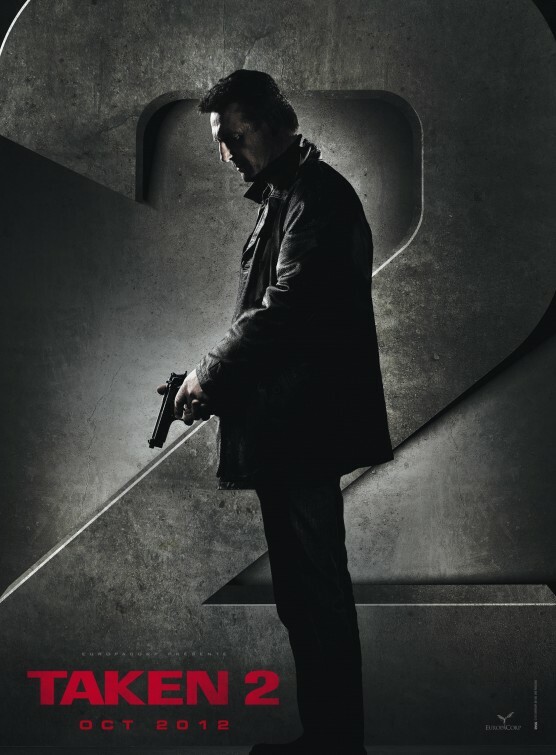 Taken 2 – Tell me what to do! First they took his daughter. Now they’re coming for him. But Bryan Mills (Liam Neeson) will still beat the hell out of them! 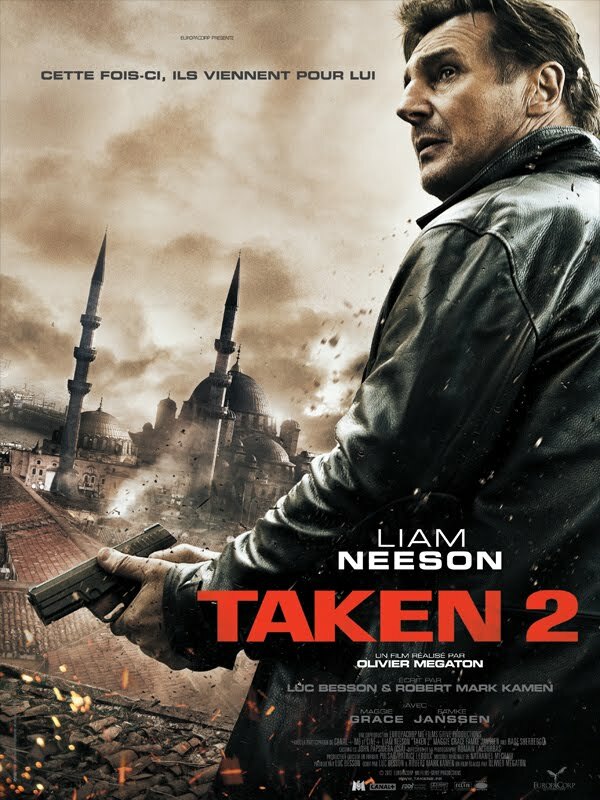 Taken 2 Movie – In theaters: October 5, 2012. Acting is no easy job, much commitment and courage is required to perform all those dangerous stunts! All you need to save your family is a cellphone, a good gun and last but not least, much determination! 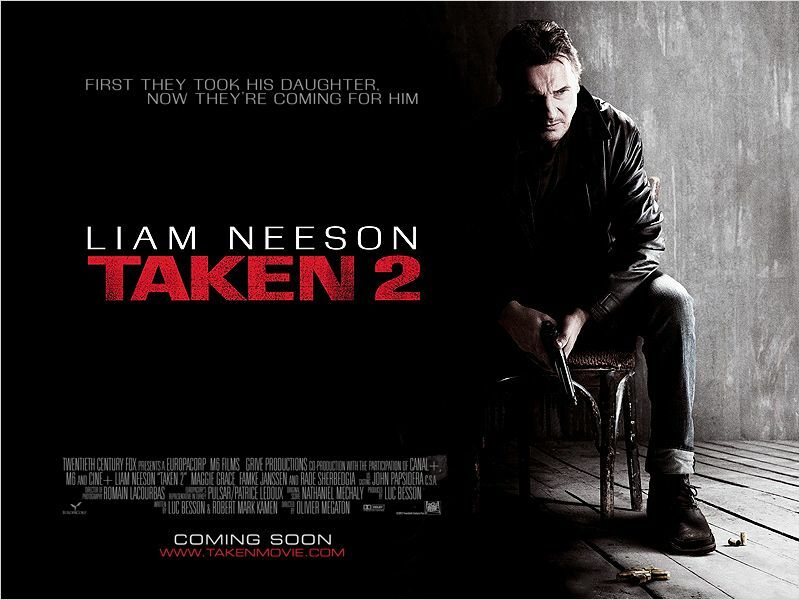 Liam Neeson is back in Taken 2, in theaters October 5, 2012. What’s the story of Taken 2? If harm was done to your loved ones, would you do anything? Can you relate to Bryan Mills’s dire situation? The film is directed by Olivier Megaton based on a script by Luc Besson and Robert Mark Kamen. In theaters: October 5, 2012. Will Brian Mills save the entire family or will someone die this time around? Maybe the mother? Between Liam Neeson and his gun it’s a real love story! 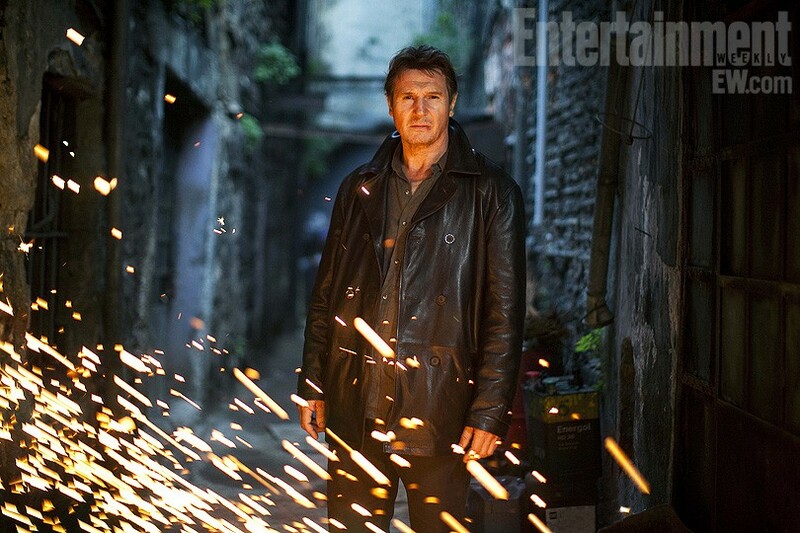 The film is starring Liam Neeson, Maggie Grace, Famke Janssen, Rade Sherbedgia, and Luke Grimes. In theaters: October 5, 2012. First they took his daughter now they’re coming for him. But don’t worry, Bryan Mills (Liam Neeson) is no wimpy kid: he will beat them once again! 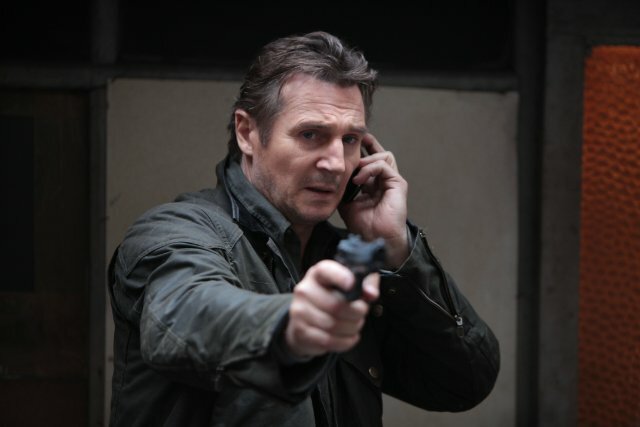 You don’t threaten Bryan Mills (Liam Neeson)’s family, otherwise you’re dead! The film is directed by Olivier Megaton based on a script by Luc Besson and Robert Mark Kamen. 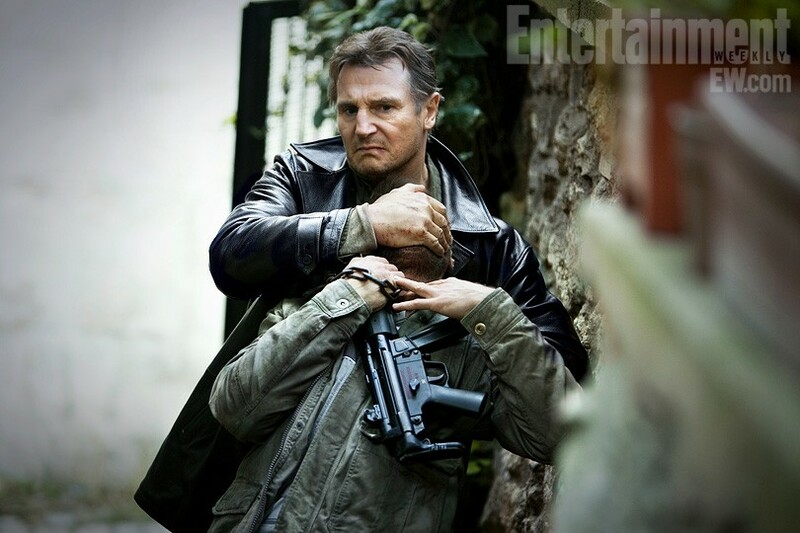 The release date of Taken 2 is set for October 5, 2012. First they took his daughter, now they’re coming for him. The film is directed by Olivier Megaton and is starring Liam Neeson. 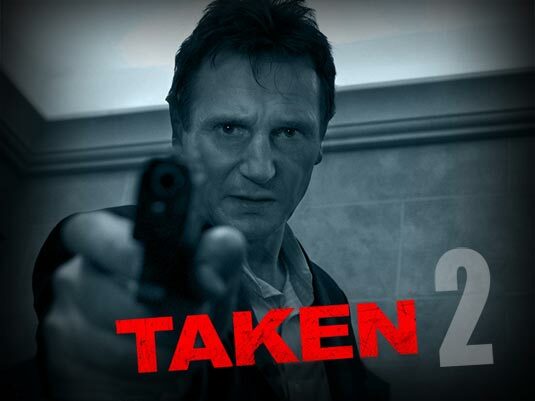 The release date of Taken 2 has been set for October 5, 2012.